In our last care sheet we talked about a common problem with cats: kidney problems. Cats are susceptible to another problem, called feline lower urinary tract disease, FLUTD. It is not a specific disease, but a term used to describe any number of conditions that can affect cat’s urinary bladder and/or urethra. 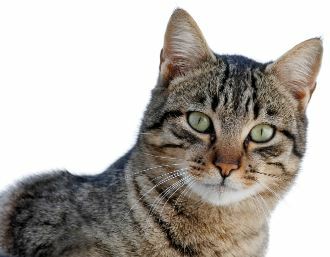 FLUTD, formerly known as FUD, is one of the more common diseases seen in cats. Any cat can get it, but it does seem to be more common if the cat is older, neutered, over-weight, or eats a dry kibble diet. Urinating outside of the litter box or in unusual places. This can be caused by pain and irritation that causes an urgent need to go and they cannot get to their liter boxes in time. Difficulty, straining, or pain when going to the bathroom, due to the inflammation. Over grooming and hair loss, especially around their perineum. Many cats will over groom and lick themselves as a way to deal with the pain associated with FLUTD. Blood in the urine. Blood in the urine may be microscopic (only detectable by your vet using tests) or may be more severe and obvious (you may see red discoloration of the urine). Bladder stones – These stones can form because of an imbalance in a cat’s pH and from a build-up of magnesium ammonium phosphate (struvite) and calcium oxalate crystals. This is less common in cats now, as most diets are formulated with limited magnesium and designed to produce acidic urine. Bacterial infections – Bacterial infections causes a lot of inflammation but it’s relatively uncommon in cats, although it is seen more frequently in older cats. Urethral plugs – A buildup of proteins, cells, crystals, and debris in the urine can build up and form a plug that cannot be passed. The severe inflammation from another issue can cause muscle spasms, which block off the urethra. In rare cases, a tumor might be the culprit. It’s more common in older cats that have a history of inflammation and trouble urinating. Idiopathic – Up to 60 – 70% of cats have no underlying disease to explain why they have problems urinating. Because there can be a variety of causes, diagnosis of FLUTD can be difficult. A vet will run various tests, including urinalysis, blood work, and x-rays. Treatment all depends on the cause: a diet that increases acidity can help dissolve some stones, surgery may be needed to remove stones or plugs, or medications, antibiotics and anti-inflammatories, may be proscribed. Getting a proper diagnosis and treatment is important, as FLUTD can be fatal in male cats. For regular readers of our care sheets, it should be no surprise to learn that one of the best things you can do to help prevent FLUTD is by feeding a high protein, grain free, high quality diet, especially raw and canned foods. 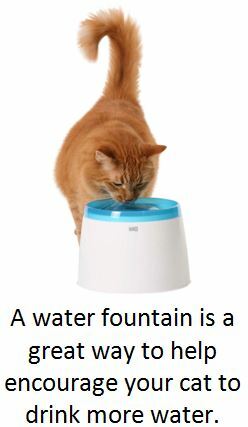 The extra moisture in these styles of food is important for cats, as they typically do not drink enough water to maintain a healthy urinary system. Check out this care sheet for more details. In cats that already have FLUTD caused by stones, avoid fish in their diet. Salmon and tuna are common sources of struvite crystals, and can exacerbate the inflammation already present. FLUTD and other urinary problems can be a source of major aggravation for both you and your cat. The good news is that it doesn’t have to be. A biologically appropriate diet is the foundation of great health for your feline friend. As always, stop by any time and talk about your cat’s nutritional needs with our staff! Cats and hydration Join us for our PET Talks!